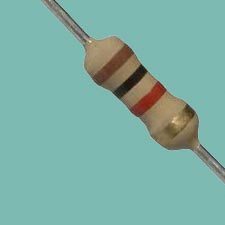 Resistors are one of the most common components you will come across in electronics. They are designed to lessen the amount of electricity along a particular path. 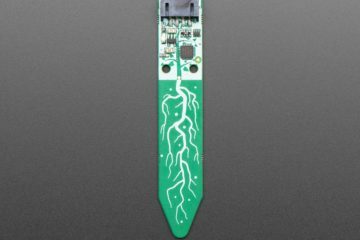 A common use is to prevent LEDs from recieving too much voltage. Resistors are rated in ohms Ω. A 100k or kiloohm resistor is 1,000 times more resistant than a 1Ω resistor. A 1M or Megaohm resistor is 1,000 times more resistant thank a 1k resistor. Resistors are also rated for how much power or how many watts they can handle. For these experiments 1/4W resistors are fine. 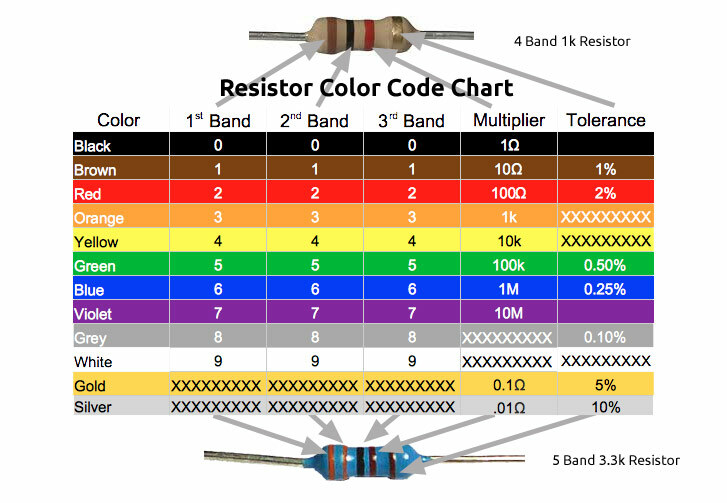 Resistors are color coded to denote their value. After a while you may remember some of the color bands and values, but will probably need to look them up for a while. 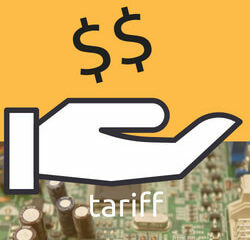 If you don’t have an exact resistor value you can usually use the closest value you have. 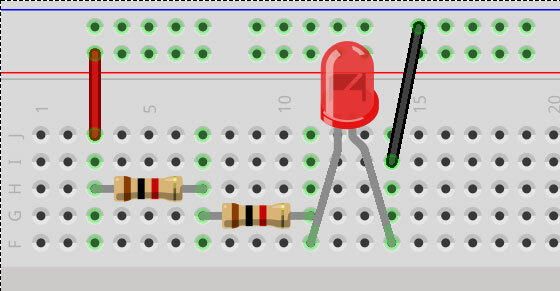 You can also put resistors in series and add up their values. for example, 2 1k resistors in series adds up to 2k of resistance. 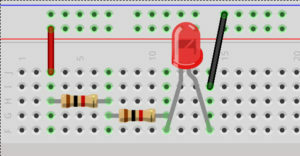 See the first image below for an example of 2 resistors in series. Also see the resistor color chart at the bottom.